New York City’s own LocalBozo.com is throwing a complimentary Wine and Cheese pairing event on Tuesday, August 9th from 7pm to 9pm at Bahr Che on Astor Place for its readers. Midtown’s Ideal Cheese will be on hand to pair three cheeses with wines from Verity at one of the classiest wine bars in Manhattan. Space for the event is extremely limited, but we’ve opened up some seats to some of our distinguished readers on a first come, first serve basis. Once our spots are full, the guestlist will be closed off. 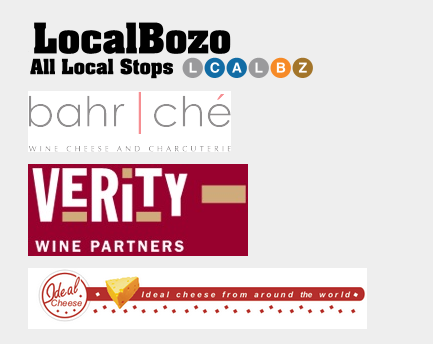 E-mail us at events@localbozo.com to RSVP affirmatively as Bahr Che hosts the first 100% Free LocalBozo.com Wine and Cheese Pairing, courtesy of Ideal Cheese and Verity Wines.